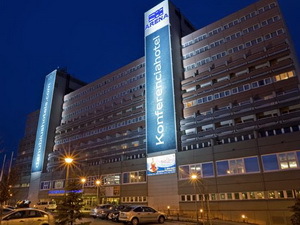 Pécs hotels. 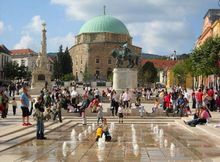 Travel guide of Pécs, Hungary. 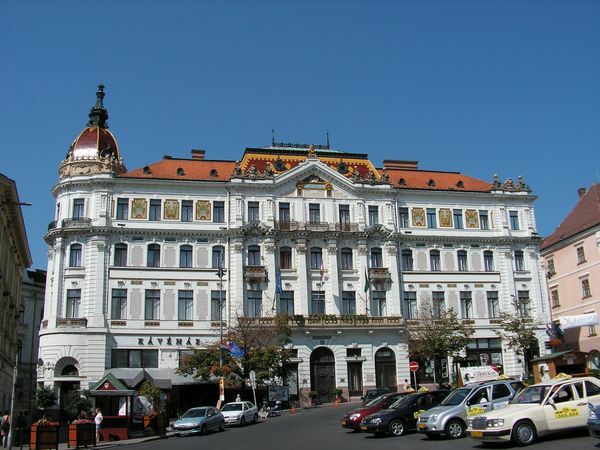 If there was ever a uranium mining town worth visiting, PÉCS (pronounced "Paych) is it. Tiled rooftops climb the vine-laden slopes of the Mecsek Hills, and the nearby mines of Újmecsekalja (aka "Uranium City haven't contaminated Pécs' reputation for art and culture. 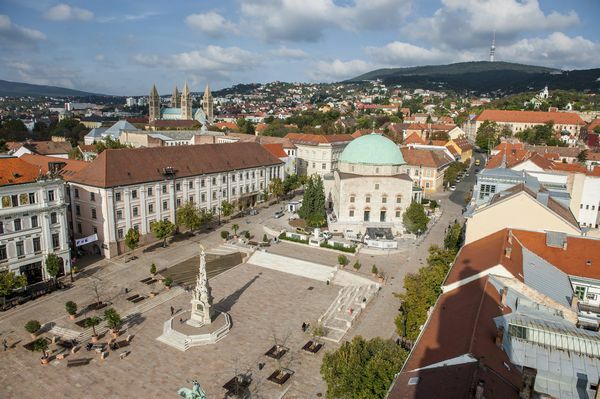 As Transdanubia's leading centre of education, its population of 150,000 includes a high proportion of students, giving Pécs a youthful profile. The city boasts some fine examples of Islamic architecture, several wonderful museums and galleries, and the biggest market in western Hungary. 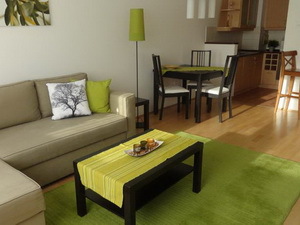 It is also a base for exploring Siklós, Szigetvár and Mohács, further south, and the Mecsek Hills above the city. 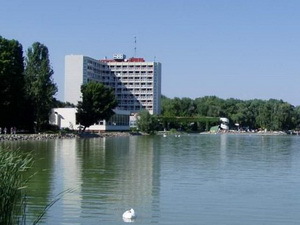 Settlements existed here in prehistoric times, but the city's history really began with Sopianae, a Celtic town developed by the Romans and later raised to be the capital of the new province of Pannonia Valeria. 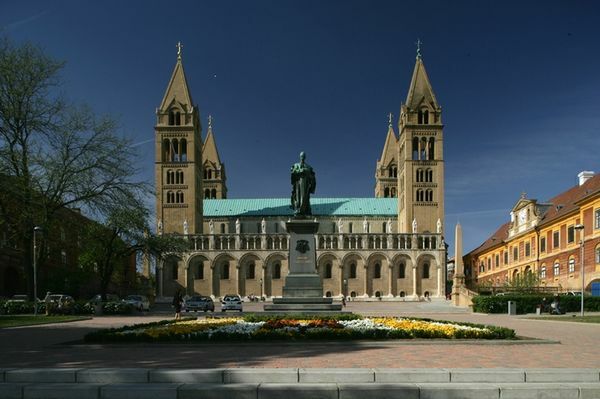 Made an epicospal see by King Stephen, the town - known as Quinqua Ecclesiae or Fünfkirchen (Five Churches) - became a university centre in the Middle Ages. Under Turkish occupation (1543-1686) its character changed radically, and its Magyar/German population was replaced by Turks and their Balkan subjects. Devastated during its "liberation", the city slowly recovered thanks to local viticulture and the discovery of coal in the mid-eighteenth century. While the coalmines now face closure due to bankruptcy, Pécs's uranium mines - dating from the early 1950s are still going strong. 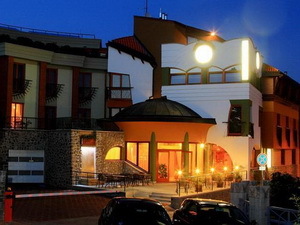 Most of the sights, hotels and tourist offices lie within the historic Belváros, encircled by a road marking the extent of the medieval town walls. 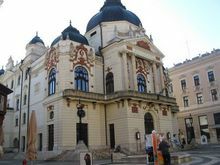 On Kossuth tér you find one of Pécs's finest monuments, an elegant Synagogue built in 1865. Its carved and stuccoed interior is beautiful but haunting, emptied by the murder of over 4000 Jews now listed in a Book of Remembrance - ten times the number that live in Pécs today. Thanks to local efforts, state support and contributions from abroad, this was one of the first synagogues in Hungary to be restored in the 1980s. Further up Bajcsy-Zsilinszky utca, you come across the Zsolnay Fountain outside the church on the right. Polychromatic, metallic-looking glazes typify local Zsolnay ceramics; the bulls' heads on the fountain are modeled on a gold drinking vessel from the "Treasure of Attila". 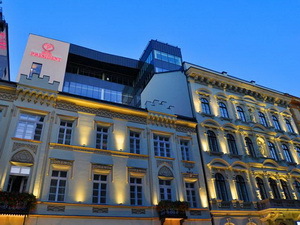 One block north, the road meets Király utca, traditionally the korzó where townsfolk promenade. 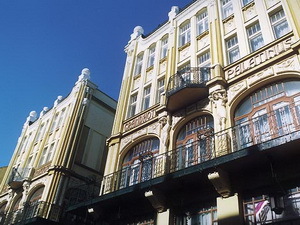 Amongst the buildings worth noting on this street are the newly restored Art Nouveau Hotel Palatinus; the Nendtvich House with its ceramic ornamentation; the National Theatre, surmounted by a statue of Genius; and the Vasváry House, with its allegorical figurines. 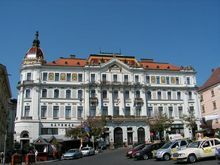 However, there's more to see around Széchenyi tér, the city's main square at the top of Bajcsy-Zsilinszky utca. With its art galleries and tourist offices, modern-day Széchenyi tér is centuries removed from its Turkish predecessor, a dusty square crowded with "caravans of camels laden with merchandise from India and the Yemen". At its top end stands a Catholic church whose ornate window grilles and scalloped niches denote its origins as the Mosque of Gazi Kasim Pasha, which the Turks built from the stones of a medieval Gothic church. The vaulted interior and Islamic prayer niche (mihrab) decorated with Arabic calligraphy can be viewed during sightseeing hours. 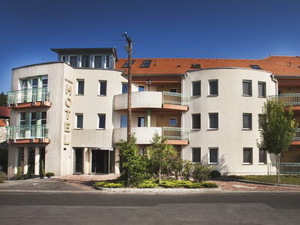 Contemporary artwork is exhibited in the Pécsi Gallery on the western side of the square. It's worth a quick look in case there's anything remarkable, but with so many art collections in Pécs, it pays to be selective. On the northern side of the square, the Archaeological Museum covers the history of the region from prehistoric times to the Magyar conquest, but pales in comparison to the real Roman tombs a few streets over on Apáca utca (see below). Not far away at Mária utca 9 is the Mining Museum, another disappoint, for all the sparkle of its crystals. At this point, you have the option of three routes to the cathedral - along Káptalan, Janus Pannonius or Apáca utca - via a clutch of museums. Szent István tér, the lower, park-like extension of Cathedral Square, harbours a subterranean ruined basilica or early Christian mausoleum (there is doubt as to which it actually is). It houses a fourth century AD chapel, decorated with frescoes of the Fall and Daniel in the Lion's Den, and containing a white marble sarcophagus and skeletal remains.Up the steps past the Szepesy statue, Dóm tér is dominated by a huge four-towered Cathedral that has been endlessly rebuilt since a basilica was founded here in the eleventh century. Though a crypt and side chapels from eleventh- to fourteenth-century churches have been incorporated in the cathedral, its outward form is neo-Romanesque, the style chosen to replace Mihály Pollack's previous Baroque design. 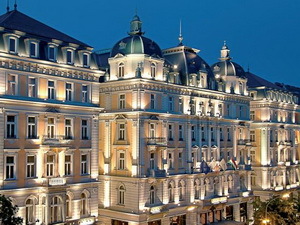 Its lavish blue and gold murals are by Lotz, Székely and other historicist painters of the 1890s. The neo-Renaissance Bishop's Palace to the west is embellished with a modern statue of Liszt waving from the balcony, which might have amused Janus Pannonius (1434-72), the humanist poet and bishop of Pécs, or Bishop György Klimó, founder of its library, who told borrowers: "You don't have to pay for anything. Depart enriched. Return more frequently." Around the corner to the south, a circular Barbican tower punctuates the old town walls, giving access to Klimó György utca. 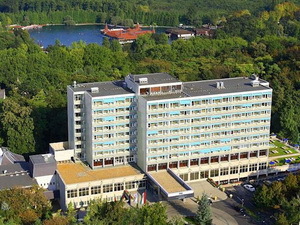 SEE PÉCS HOTELS ON THE MAP! 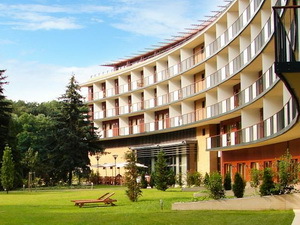 4-star hotel in Pécs, 200 kms from Budapest. 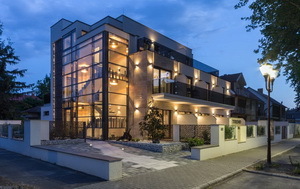 Hotel Makar Sports & Wellness is located in a quiet, green area, a few minutes' walk from the Medical University of Pecs and 2 km from the historic centre. 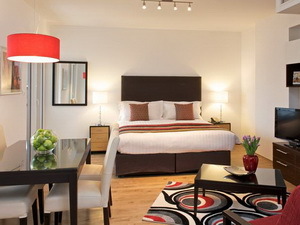 It comprises a park, sports fields, playgrounds and a free car park. 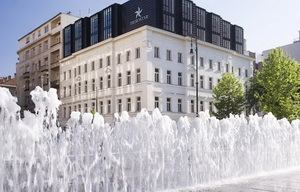 Located in Budapest’s center, Iberostar Grand Hotel Budapest features luxurious air-conditioned rooms with free WiFi access, an à la carte restaurant and a well-equipped spa area, available for free. Budapest Parliament is only a few steps away. 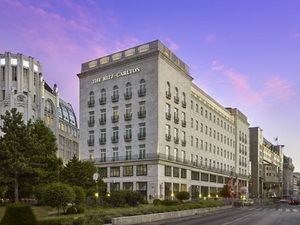 The Ritz-Carlton - Right in the heart of the Hungarian capital, near the historic Erzsebet Square, Hotel Ritz-Carlton Budapest is hosted by the newly renovated Adria Palace and offers luxurious accommodations and services.